A harpist at your wedding brings the perfect touch of elegance and romance to your special day. One of the most in-demand event harpists in Santa Barbara and Ventura counties, Laurie has over 30 years of experience providing music for all types of weddings and receptions around the central California coast. 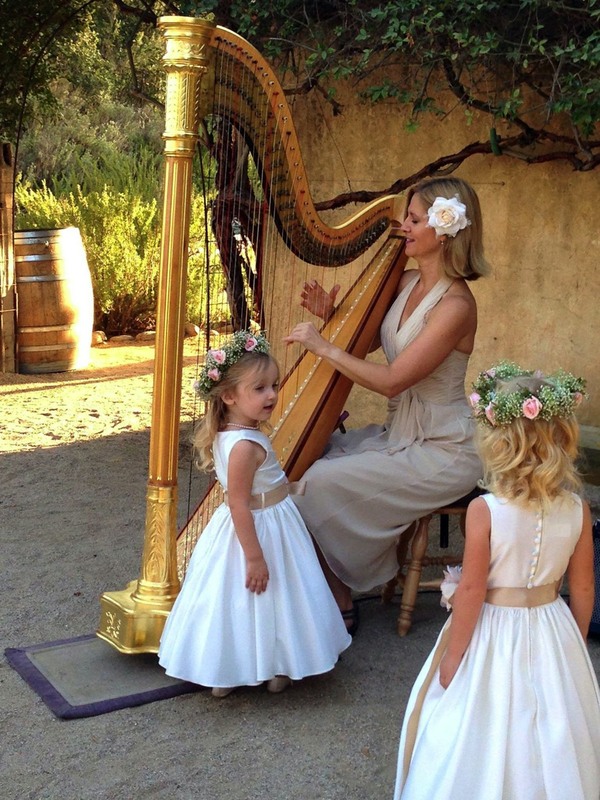 The harp is portable enough that she can play indoors or out for beach weddings and garden ceremonies. Prelude - before the ceremony while guests are being seated. Processionals - for the attendants and the bride. Ceremony - any special music during the service. Recessional - a triumphant tune for the exit of the bride and groom and attendants. Post-Ceremony - while your guests are filing out after the service. Cocktail hour - while guests mingle and wait for the the bridal party to finish the final photos. Dinner - Your guests don't have to shout their conversations while harp music accompanies dining. Repertoire - If you are unsure about musical selections, Laurie is happy to make suggestions based on her 30 years of experience providing music for weddings of many denominations. Amplification - if the venue requires it, Laurie will bring her own battery-powered amplification system (no electrical outlets required) so the harp is certain to be heard. A Written Contract - clearly spelling out the details of your event. Dependability - A responsible musician who is well-respected and recommended by her colleagues in the local wedding and event community. A Concert Artist - with international credentials. 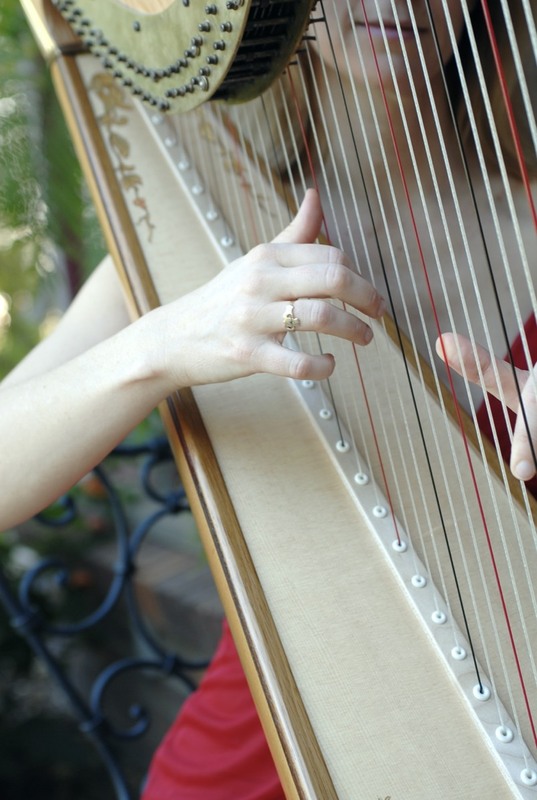 If you would like to have a professional harpist provide the perfect romantic ambience for your wedding in Santa Barbara, Ventura, Camarillo, Oxnard, Santa Ynez, San Luis Obispo, Carmel or Monterey, contact Laurie for more information. She generally book several months in advance so book now!